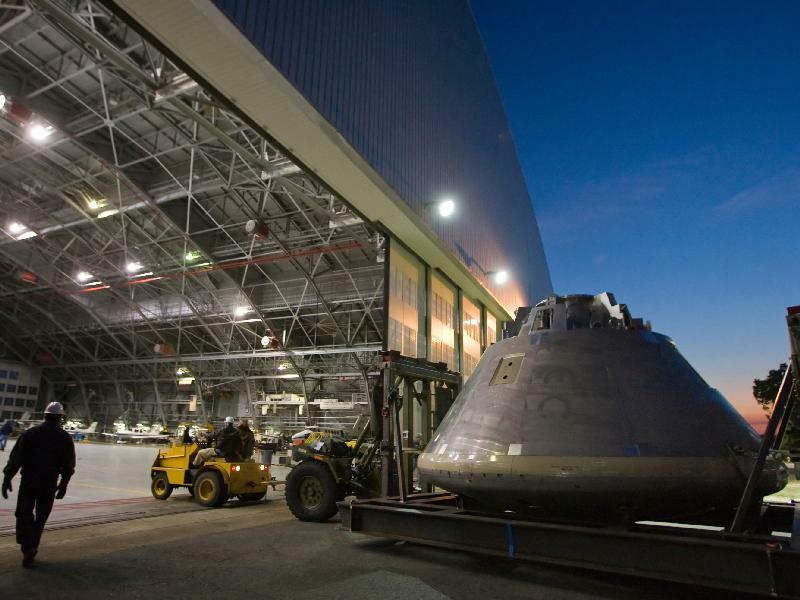 Looking on the NASA site, I spotted an "image of the day" of a "boilerplate" Orion capsule being readied for an escape system test "later this year," and it got my attention beyond its "echo of the past" qualities. Along with other things noticed of late like a prototype heat shield, it's one small step towards the new spacecraft... although, of course, it's easy enough to tell myself that even some first pieces of physical equipment are still quite a distance from an actual spacecraft and the rocket to put it in orbit or the larger rocket yet needed to push it to the moon. Nevertheless, I can at least be hopeful about and interested in it.